class="page-template-default page page-id-234 wpb-js-composer js-comp-ver-3.6.12 vc_responsive"
WoodSongs Partners come to nearly 40 shows a year for FREE plus get discounts for all Special Event broadcasts. WS Partners help kids come on the show and help send WoodSongs and lesson plans into schools nationwide for FREE. To sign up or renew, just click on the Partnership of your choice. All online orders are secure and private. You can also MAIL in your Partnership by printing out the Radio Partnership Form … or call us 10-5PM EDT 859-255-5700. NEW PARTNERSHIP: The WS FAMILY-Plus “GOLD” Partner … this is a Partnership that allow up to 6 people per regular show to come FREE all year long. It’s only $199. Call 859-255-5700 to purchase. NOTE: this is separate from your WoodSongs Partnership to see the shows at the Lyric Theatre. Join the 2018 WoodSong Front Porch Association ($25 total per year; includes TWO tickets to the next WoodSongs Gathering of SongFarmers.) 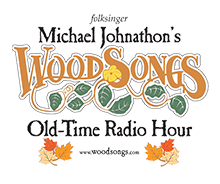 Your membership supports the huge WoodSongs CLASSROOM projects for students, teachers and home school families … Details at SongFarmers.org … Call 859-255-5700 to join today! ONE SHOW – This is for fans and listeners from around the world who LIVE OUTSIDE OF THE KENTUCKY AREA want to support WoodSongs. Our Worldwide Partners get two tickets to any ONE show they want when they are in Lexington KY. This is for one person to receive one free ticket to every regular show – nearly 40 in all – with all the benefits for one year. This is for one person to receive two free tickets to every regular show – nearly 40 in all – with all the benefits for one year … that’s nearly $500 in tickets. This is for one person to receive four free tickets with all the benefits to every regular show for one year. That’s nearly $1000 in tickets. This is our best deal of all the Partnerships available – great for businesses or large families – one person will receive SIX free tickets with all the benefits to every regular show for one year, nearly 40 broadcast tapings. This is great for large families, fans with lots of friends or even a business that wants to use the tickets for clients. That’s nearly $1500 in tickets. Always bring your card to show at the ticket counter at the Lyric Theater the night of a show, even if you come a lot. If you misplaced your card we can help. Replacement cards are $2.50 and you can pick them up the night of a show. Questions? Email radio@woodsongs.com or call 859-255-5700. Thanks! Over 40 FREE shows a year • Priority seating at WoodSongs shows • DISCOUNTS on tickets for all special event shows. Do Partners still need to make reservations? Yes, Partners must make reservations to secure seating. Call our 24/7 WS Reservation Hotline 859-252-8888. Can I upgrade my current Partnership? Yes! Simply purchase the balance of the upgrade and we will send you a new Partner’s card. The upgrade will be good for the remainder of your partnership. Can I give a WoodSongs Partnership as a gift? YES! Gift Partnerships are treated as NEW Partnerships. Just check the word GIFT on this form, or call us at 859-255-5700 and we’ll help get this done. NOTE: All WoodSongs Partners receive the free tickets and discounts. Partners must still reserve seats to attend. Partner reservations are held until 6:45PM day of show. Taxes and shipping charges are INCLUDED in the Partner subscription.